By now you’ve successfully added your blog to Bing, let’s see how to verify website in bing webmaster with common WordPress plugins. This seems to be complex if you are not techy in HTML or PHP language. Also, you need to interact with the coding part to verify the ownership. If you are not sure how to do this don’t put your blog at risk by editing the HTML portion or uploading the XML to the server. 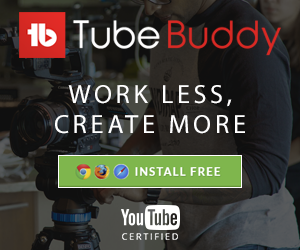 Let me show you how to verify this with existing and most commonly used plugins. You just need the meta code to verify the blog ownership. You can find the bing metacode displayed under option 2 in the bing webmaster site. Copy the code within the double quotes and saved it in the notepad. Squirrly is a free SEO plugin help to optimize the new and existing posts to make it both SEO and human-friendly. It continuously improves your blog ranking and authority for the focus keyword. It also ensures that your post is not over optimized and protect your blog from google penalty. 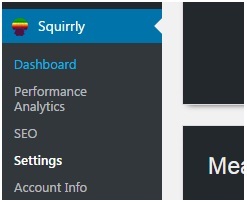 Also, you can monitor the squirrly plugin before get into the below steps. Paste the saved metacode in the bing textbox to verify website in bing webmaster. Note: By this method, you can also verify the ownership of google webmaster tool. Scroll down and save the settings. Now go back to bing webmaster page and submit the verify button. After that, you can see the confirmation message. Yoast SEO is a freemium SEO plugin help to optimize the blog post for the focus keyword. Before publishing the post it’ll help you to ensure that you use the focus keyword on the article title, URL, description, alternative image text. By this way, it ensures that your post is SEO friendly. It has an additional feature to check the readability of the post. By this way, it ensures that your post is human-friendly. Download and install Yoast SEO plugin before get into the below steps. After you’ve successfully installed Yoast SEO, it’ll be showed in the left sidebar of WordPress. 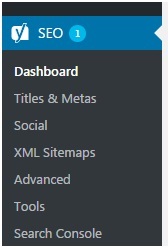 Select the Dashboard option and navigate to webmaster tools. 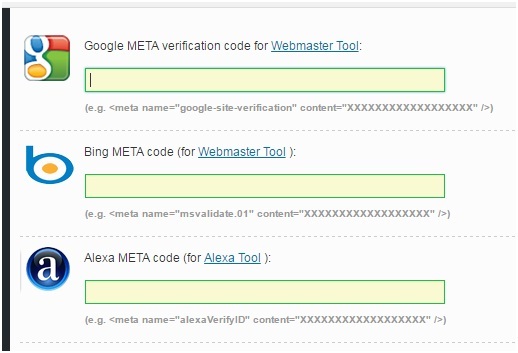 In the Bing webmaster tools text box, paste the bing meta code to verify the website ownership. Click the save changes button to save the bing meta code. That’s it. 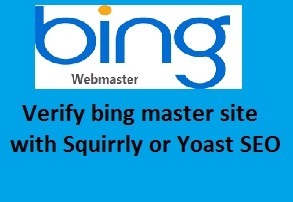 You’ve successfully verified website in bing webmaster tool. Let me know if you have any doubts.